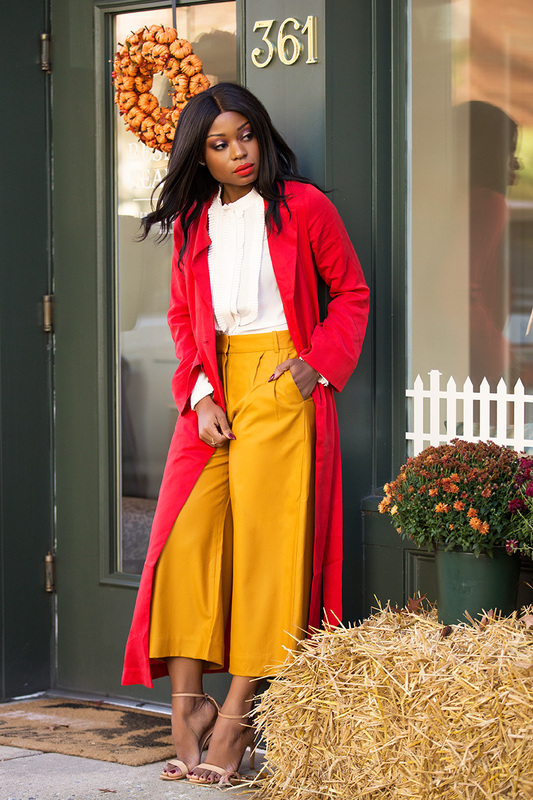 On cold fall and winter days, it is easy to let go the idea of incorporating colors, but styling and mixing colors should be all year-round; this makes it exciting and fun. 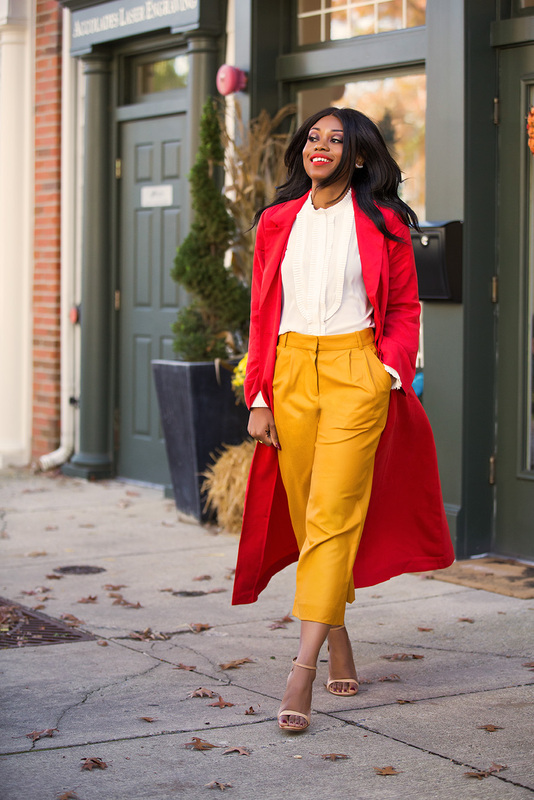 For today's post, I mixed mustard yellow pants with a reddish-orange colored jacket to brighten my fall ensemble. 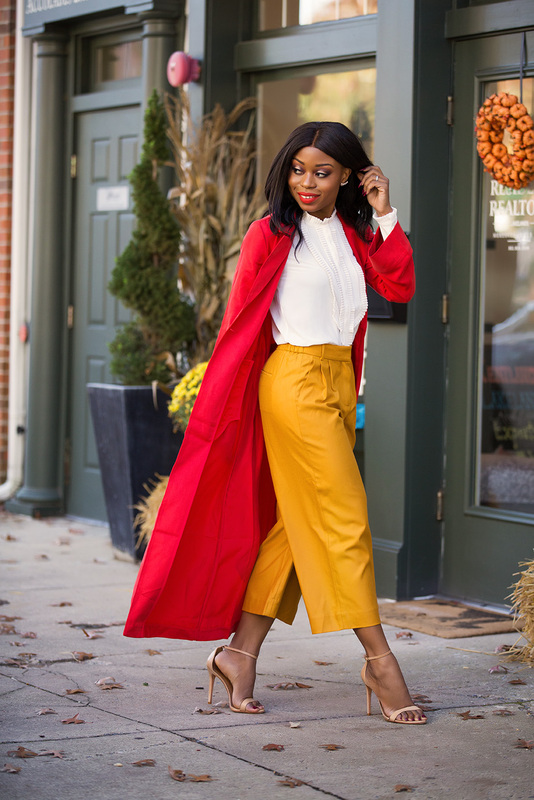 Since both colors are bold, I completed the look with an off white blouse and beige pumps. 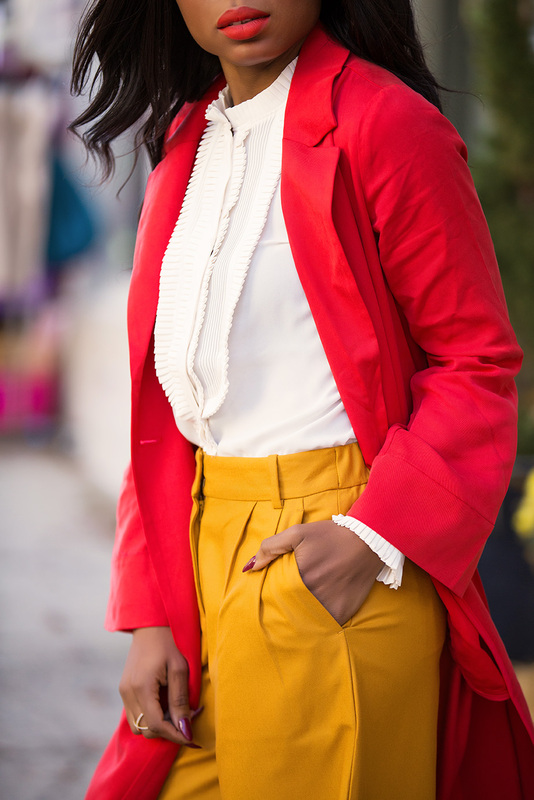 The neutral colors strike a balance with the bold colors. 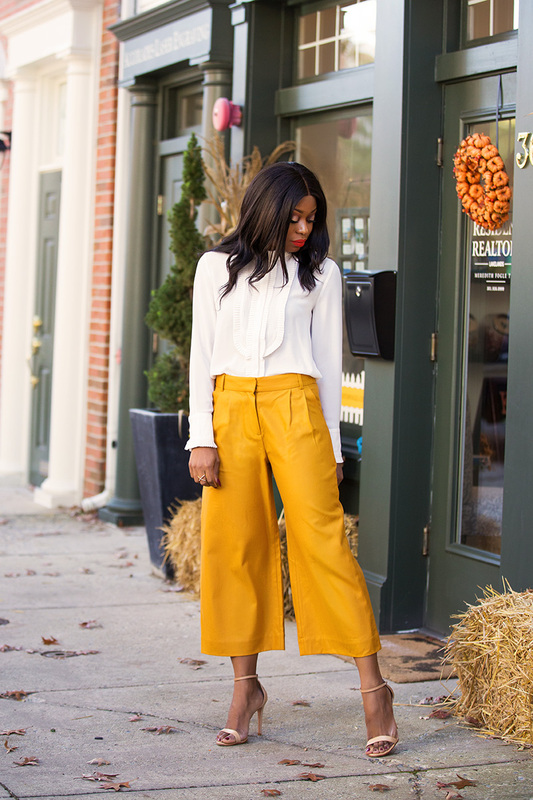 The mustard pants look great on you!